Fourteen-year-old Chloe witnesses her mother’s murder at the hands of a vampire. Before the vampire can kidnap her, there is an unexpected rescue by a group of vampire hunters. Overwhelmed by the feeling of safety, Chloe passes out and they whisk her away to their small community. When Chloe wakes, she comes face to face with the only other living relative, besides her mother, whom she has ever met: her grandfather. Chloe’s mother kept her hidden from the family; now, Chloe tries to unveil the family secrets. 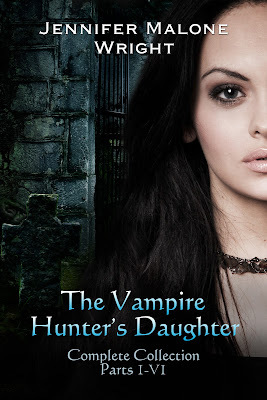 Through her grandfather, she learns her mother was a vampire hunter. 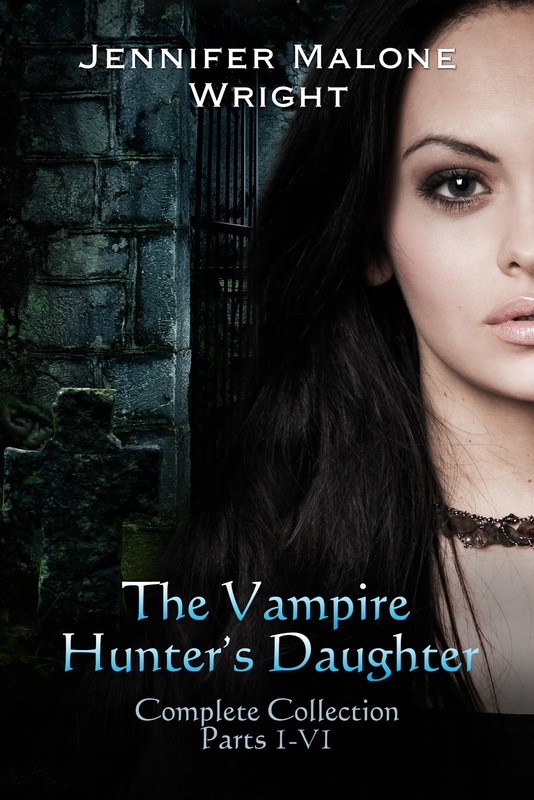 In fact, her entire family is descended from the powerful bloodlines of vampire hunters. Chloe agrees to join the family she has never known for one reason only: Chloe vows to kill the vampire responsible for her mother’s murder. With vengeance in her soul, Chloe is even more determined to follow through on her vow when she discovers the true identity of her enemy and how he is connected to her. 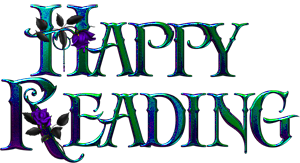 Experience the world of vampires hunter’s, vampires and mythology with Chloe in this exciting series. I began The Vampire Hunter’s Daughter as project to create a background for another character that I was writing about. In that process, Chloe was born as a short story and then people liked it so much as a short, that I decided to keep writing. My covers are done by Paragraphic Designs. I tell her what I am envisioning and she comes back with the perfect cover. This cover is Chloe, the main character with a graveyard behind her. Graves represent the death of her mother and also vampires.